At Jeff Davis Hospital, our Performance Improvement Department continuously strives to ensure and promote healthcare safety and quality. That's no surprise, given our mission: to provide the best quality of care to all. We adhere to "core measures"
Research has shown that following certain steps, such as giving antibiotics to patients before and after surgery, will improve patient outcomes. 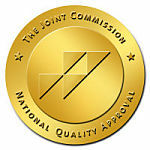 Several groups, including the Georgia Hospital Association, track hospitals' adherence to these processes, known as core measures. We ask patients to rate their stays. 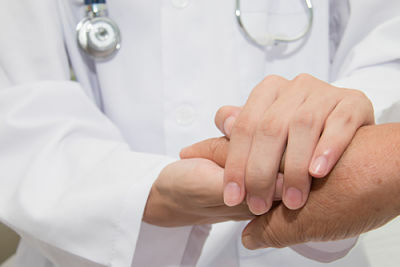 These patient satisfaction measures are often based on subjective aspects of patients' experiences, such as the politeness of staff and whether caregivers answered their questions, as well as on the quality of treatments they receive. Jeff Davis Hospital patient care units have vastly reduced infections through a program that stresses strict adherence to simple measures, such as frequent hand washing, that are shown to reduce transmission. The frequency of falls at Jeff Davis Hospital is monitored closely, thanks in part to the development of a checklist that allows nurses to rank a patient's risk of falling down and to take preventive measures based on that ranking. It's well documented that shorter lengths of stay lead to lower infection risk and improved cost efficiency, disproving the notion that longer stays mean better care. Physicians at Jeff Davis Hospital cut back on wait times across departments and, as a result, reduced the average number of days that many patients must spend in the hospital. The Medical Surgical Unit, for example, has reduced its average length of stay to 3.5 days in 2010. Before a procedure, our surgical teams meet to verify the correct patient, procedure and surgical site, make sure we have the needed equipment supplies and personnel at hand, and discuss any complications that may arise. Then, after the procedure, they discuss future needs to make sure that the transition of care is handled smoothly. In our Medical Surgical unit, we encourage caregivers and patients' loved ones to seek help at the first sign that a patient is about to have cardiac or respiratory arrest. We believe that this will help reduce the number of arrests, or "codes." Recent research has suggested that hours before adult patients arrest, a majority show signs, such as slurred speech or hypotension, which should have been heeded.